Frédéric Lefebvre was born on October 14, 1963 in Neuilly-sur-Seine (Hauts-de-Seine). Lived as a toddler in New York City where his father was practicing medicine. His brother who is studying and is engaged in a family. In 1989, he was elected deputy mayor of Garches. He was re-elected to this position in two municipal elections in 1995 and 2001. From 1993, the president of cabinet, Nicolas Sarkozy, until 2007, successively occupying the posts of parliamentary assistant, adviser, deputy chief of staff, director of cabinet of the UMP. 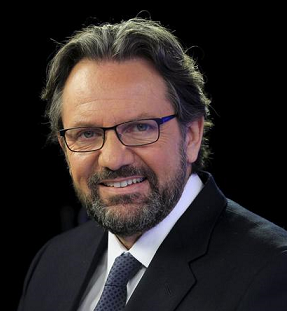 In 2004, he was elected to the Île-de-France Regional Council. Re-elected in 2010. Substitute of André Santini, he becomes deputy of Hauts-de-Seine in July 2007., in charge of Trade, Handicrafts, Small and Medium Enterprises, Tourism, Services, Liberal Professions and the consumption. He becomes then political adviser of the UMP. In 2013 he was elected deputy for the French in North America, until 2017. In June 2017 he left the Republicans (former UMP) and in November 2017 he founded with 16 French parliamentarians a new right-wing party, Agir who hears better but to divide, in the image of his constant attitude in Parliament where he does not vote by the addressee but in conscience. He publishes 5 books: “The best is the friend of good” (2011) and “the work today” (2012) published by Cherche-midi, “You are prior” (2014) by UPblisher, “Vu “Du ciel” (2015) by Editions de Passy and the release of his latest work is planned for Michel Lafon in March 2018. A lawyer admitted to the Paris Bar, there was a meeting in June 2018, in Atlanta, with Dominique Lemoine, at L & L partners.